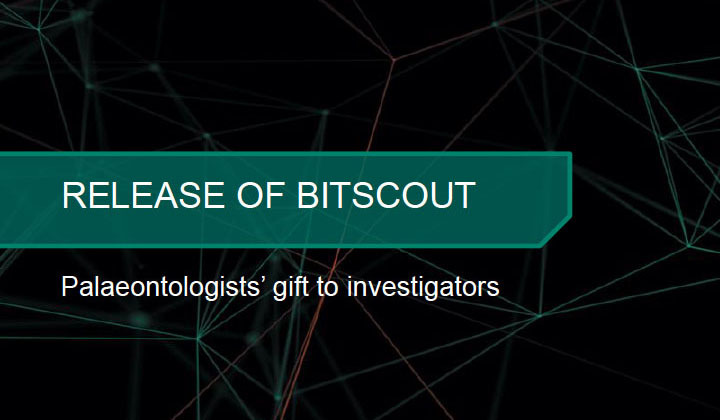 At the end of his Palaeontology of Cyberattack keynote, the Kaspersky APAC Director of GReAT, Vitaly Kamluk, announced the public availability of his cyber forensics tool – BitScout. This is a free and open-source tool that can be used for the remote forensic investigation or collection of data from a compromised system, without risk of contamination or loss of data. Don’t forget to check out the other Kaspersky Palaeontology of Cybersecurity presentations! BitScout was “created independently of the Kaspersky Lab product line” and is “outside [the] scope of [the] company’s business operation“. Vitaly intended for the BitScout tool to be used by cybersecurity researchers, high-tech crime units of law enforcement agencies (LEA), as well as educational institutions. Legitimate owners of compromised systems may cooperate and help security researchers find the infection vector or other details about the attackers. However, it is a longstanding concern the need for security researchers to travel long distances to collect crucial evidence (e.g. malware samples) from infected computers can result in expensive and delayed investigations. To solve the problem, security researchers can now use BitScout to remotely collect key forensic materials, acquire full disk images via the network or locally attached storage, or simply remotely assist in malware incident handling. Evidence data can be viewed and analyzed remotely or locally while the source data storage remains intact through reliable container-based isolation. BitScout is freely available at Vitaly Kamluk’s GitHub code repository here. Next : Eugene Kaspersky Interview Exclusive : No Kremlin Ties!